What you should know about stop leak products. Our Review. Most brands of stop-leak products like those sold at part stores and quick lubes are harmful because they use solvents to "swell" leaking seals, or use fiber particles to plug your leak. The brand we recommend uses neither. Yet is 100% effective! Solvent base engine transmission and steering stop leaks products work - by soaking into and swelling the rubbery part of your cars leaking seal. The problem with this is, the swelling never stops and continues until the seal decomposes. You may have horror stories about stop leaks that got worst afterward. Now, you know why. Solvent base stop-leak-additives dilute your oil and this action destroy the lubricating film between pistons, bearings, and gears - creating more metal-to-metal wear and abrasion - while stopping the leak. That is not good, of course. The bad thing about fiber-based stop leaks is the fibers and particles - which do stop leaks - mostly in radiators, tend to plug up small passageways and radiator coils , and then these areas and restrict coolant flow. Overheating then occurs. Temperatures can climb to the over-boiling point in your engine head, on valves, and gaskets - a set up for failure of valves, pistons and gaskets, already working under near metal-melting temperatures. Our radiator stop leak uses a patented formula having no solids or fibers, but stops leaks quickly with advantages that stop other problems from starting. See details below..
Avoid these stop leaks. Use these stop leaks! Solvent based engine transmission stop leaks, and radiator coolant stop leak additives; with fibers, are what you find on the shelf of parts stores, and are profit makers for quick lubes. They were the best idea for cars in your grandfathers model A and still sold t day'- but not good for today's Hi-tech cars and machines. Our new Hi-tech stop leak additives from Mega Power contain no fibers. They work like your blood does with a cut to stop flow. 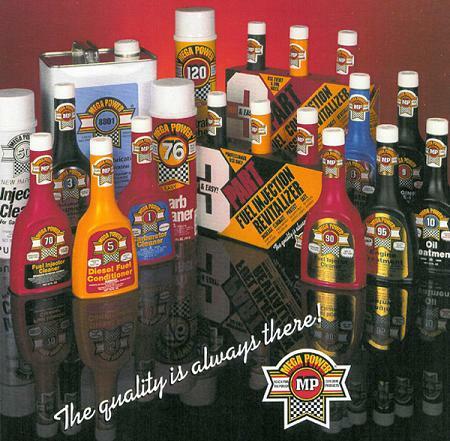 Or revitalize the rubber in seals and gaskets, giving them expansion - ending the flow. The new safe breed of stop leak products will stop more kinds and places of leaks - in short order. These new, non-plugging stop leak products last longer, work better, and stop leaks older products cannot. Also... They contain additional advantages that can often double your car and equipmment remaining life. Lets cover the causes of your leak - its hidden troublemaker. Those troublemakers, usually acids, oil and coolant breakdown residues, high temperatures, and friction, increases the speed of piston, bearing, and gear wear out - that also needs to go! Those are the negatives new additives reduce or elimanate in today's best stop leaks. These new products contain none ot the negatives solvent based additives and fiber loaded coolant stop leaks contain. We chose only those products containing other benefits besides stopping your leak that's also important to extending your car life and its dependability. 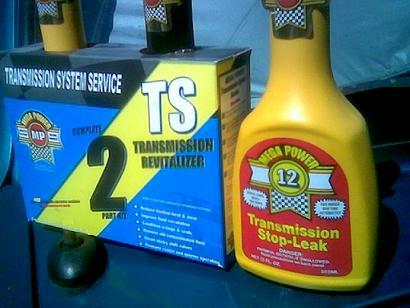 Mega Power Stop leak for motors, transmissions, and power steering contain acid neutralizers and seal conditioners, which give permanent stop leak ability, solvent additives cannot. With anti-freeze, Mega Powers Stop leak works like blood in a cut. It hardens at the leak point, forming a permanent seal to stop the leak. Stop leak products come two ways. As a stop leak only. Stop leak, plus cleaner and protector. Stop leak, plus cleaner and protector are use when a fluid or oil change is also due - or overdue. For a fresh, clean start, again. This cleans the affected component and neutralize acids. Acids from oil or fluid breakdown shrink seals and gaskets, causing the leak. Protectors add anti-wear advantages to prevent future leak and other problems. They improve cooling, and deter coolant or fluid, or oil breakdown. What this 3 product engine stop leak does. Why 3 products? Stops leaks best with these 3! The 3 stops the leak as you drive by expanding and softening hard, worn seals, O rings and gaskets. An a secondary feature the 3 enhances stop leak performance and promotes longer seal life - by neutralizing acids, by conditioning, and by reducing reducing combustion blow-by - the cause of most leaks. Installed in good motors under warranty to meet and exceed engine servicing requirements. Order a set for each vehicle. 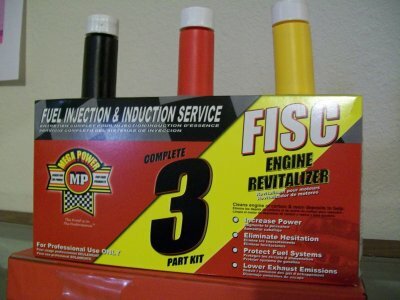 Engines with 3 to 6 gallons motor oil need 2 sets as their service. Service your good cars, too. Protect them from harm this way. Order a Mega Power Engine Stop Leak Here. Order one to 6 sets. 3 items per set needed just $55+ $15s&h= $75 total each set. Shipped to your door in 3 days by Fedex, with directions, free phone help if needed, and guarantee. 2 $60+ $15s&h= $75 total. Why combine a Stop Leak and Oil Treatment together? You do so to stop and end other conditions besides leaks that cause wear and power decline problems, also present. Stops the leak as you drive in 24 hours by expanding and softening hard, worn seals to close gaps and stop the leak. Other advantages: Quiets noisy valves, reduces compression blow-by, and gives the motor better performance and longer life by reducing friction drag. The first and second cause of engine failures. 1= $25+ $10s&h= $35.00 total. 2= $45+ $10s&h= $55.00 total. For 6 vehicles = $120+ $20s&h= $140.00 total. Sorry, PayPal is not working. to your transmission fluid and drive. Why combine a Stop Leak Products and Tune Up Treatment together? You do so to stop other conditions besides leaks that cause wear and to restore shifting smoothness. Stops the leak as you drive in 24 hours by expanding and softening hard, worn seals to close gaps and stop the leak. Other advantages: Instantly improves shifting by reducing wear drag and cleaning shift-valves. Cools and promotes longer life by modifying friction - a heat-reducing factor. Gives transmission better performance and longer life by reducing friction drag. The first and second cause of transmission failures. Add to transmission fluid and drive. Stop leaks as you drive in one day. Smooths shifting. Provides extra anti-wear protection, to prevent future leaks, and to lower high temperatures. An extra benefit when towing. 1= $25+ $10s&h= $35.00 total. 2= $45+ $10s&h= $55.00 total. 6= $120+ $20s&h= $140.00 total. Save your engine and your budget with this 2-12oz, fast-acting stop leak, and system-protector treatment. Add to radiator coolant and drive. Stop leaks in minutes. Contains no pepper, or solids. Works by turning solid, when exposed to air – like your blood does with a cut. Stops – high-pressure coolant leaks fast and permanently. Works as a system protector for older systems by neutralizing acids – the cause of most leaks, and by making the coolant 30% more efficient in heat transfer. 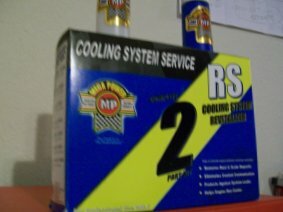 Gives your engine and transmission a secondary cooling advantage. Stops whines by stopping air infiltration pass weak seals. Stop fluid leaks at pump seal and steering ram, too! Revitalizes seals, shaft o-rings, and gaskets with a controlled expansion to stop leaks in a few days. Ends roughness felt when turning steering wheel right and left. Reduces friction to slam the brakes on wear. Cool. Helps avoid a $1000 system replacement. This Kit includes a 12oz, 5 minute system cleaner and stop leak, and a 62oz system flush, anti-wear, and replacement system fluid. To order $50+ $15s&h= $65 total. 4 pak $175+ $15s&h=$190 total. With each order before June 30 2012. Ask for our special $20 bottle of pour-in-your-gas-and-drive Mega Power Fuel Injector Cleaner. Mention this ad when your order your stop leak product. No refunds requested last 267 days! More Stop leak products, links listed at end of article. Including Radiator. Heater. A/C compressor. Seals/gaskets/cracks - and their reviews.